For almost all years, especially from 1909 through the 1950’s, the Philadelphia Mint was the main production facility for Lincoln Cents. In years where it was not, so many coins were produced that completing this collection in circulated condition should be easy and not too expensive. Upgrading to an uncirculated set in RED condition can still be done but will certainly cost much more. Ironically, the only year Philadelphia did NOT make Lincoln cents was 1922. Had Philadelphia made cents that year, we may have never known about the 1922 NO D cents. The Denver Mint did not start making Lincoln Cents until 1911). When it did start producing Lincoln Cents, production was on the light side and usually in the 10’s of millions during those first years. The exceptions were the 1914-D and the 1924-D where mintages were far less. In fact, it was not until 1941 that total production exceeded 100 million. In 1956, production exceeded 1 billion and just kept going up from there. The only years Denver did not produce cents was 1921 and 1923, otherwise the Denver Mint has been cranking out Lincoln Cents for over 100 years. For many collectors, there seems to be something special about “S” mint marked coins. Having grown up in the Midwest, Denver and Philadelphia coins were what I mostly saw. On the rare occasion I found an “S” coin (usually Lincoln Cents), I kept them. Unlike Denver, San Francisco began producing Lincoln Cents in 1909, and this date, 1909, is often the most sought after “S” mint marked coins in the series, the 1909 S and the 1909 SVDB. If you want to collect “S” coins, this is where you will start and spend most of your money. From there, most other coins are affordable with the exception of the 1931-S which could also set you back $100 or more depending on condition. A very popular method of collecting coins is to collect a coin from each year regardless of mint mark. In fact, there are coin folders that aid you in accomplishing this type of collection. For the Lincoln Cent, using this approach will save you considerable money as no date from Philadelphia would be considered scarce in this series. Because of this, you may want to opt for higher grades. Working on a collection in Mint State Lincoln Cents is a much more difficult challenge. Collecting an OBW roll for each year. While you might think these are easy, collecting each year from circulation can be done, but will take a while unless you buy several boxes of cents from the bank and spend an afternoon searching. Collecting each year and Mint in a high grade PCGS or NGC slab can be more challenging that you might think. Once done, though, it will be a very nice looking collection. One of the very popular and inexpensive collections is the Lincoln Wheat Cent Short Set consisting of the dates from 1941-1958. 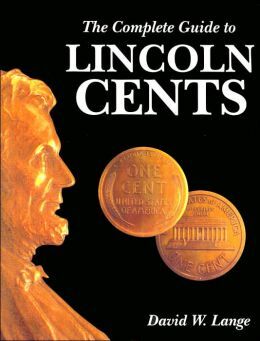 Most current coin folders for the Lincoln Cents are divided into several folders with the first folder usually consisting of 1909-1940 coins and the next folder consisting of 1941 through 1974. Since 1958 was the last year of the Wheat Cent, the dates of 1941-1958 are commonly sold as a group. While not a complete set for a folder, it is still quite popular. A alternative to these in circulated grade is to collect them in UNC and/or PCGS/NGC slabs. These folders allow for the years 1941-1974. If you want to take the wheat short set a step further, you can simply fill in the holes for the Memorial dates (1959-1974). Another popular option that is less expensive is collecting the years from 1934 through Present. All the key dates and low mintage coins are prior to this date so finding these coins should not be too difficult. In fact, if you want a real challenge you can choose to get them in BU/UNC condition. Most collectors choose this as the option they want to pursue. While most choose it, very few complete it. Obviously completing this set means acquiring the keys (1909 S, 1909 S VDB, 1914-D, 1924-D, 1931-S). Besides these coins, there are many $5 and $10 coins in low grades. If you want a higher grade, expect to pay way more for early teen mint marked coins. For example, a 1911-D may be around $5 in G condition, but over $20 in VF. Of course should you choose this route, it may take a while but it will be a nice accomplishment. This is the granddaddy of them all. 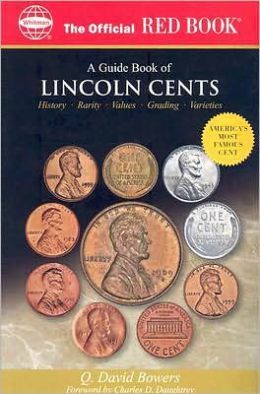 Over 100 years of Lincoln Cents in uncirculated condition. Few people attempt this collection and even fewer complete it as the price tag can be large depending on the grade chosen. And of course, if you want to be sure they are all UNC, this would be a PCGS, NGC of ANACS collection. Then you can decide if they are all MS62, or MS63, or MS64 or MS65 or even MS66.